Oren Shlomo Mayer, who is wanted for murder in Taiwan, was arrested at a condominium building this morning. An Israeli-American wanted in Taiwan for the brutal murder of a Canadian has been arrested in a pre-dawn raid in Cainta, Rizal. 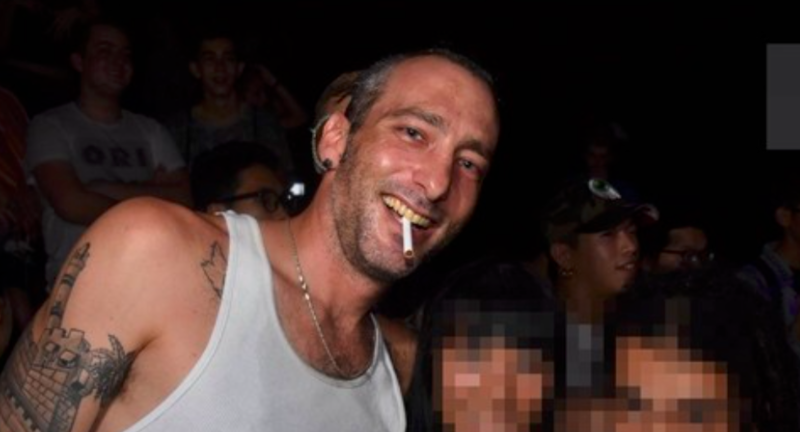 Oren Shlomo Mayer was nabbed today (Friday, September 7) in a joint operation by the police and the Bureau of Immigration’s Fugitive Search Unit. As we previously reported, Mayer was last seen at about on August 25 boarding a Cebu Pacific flight to Manila from Taoyuan International Airport. It has taken operatives several weeks to track the suspect down as he had reportedly been making frequent changes of residence. The US embassy has already cancelled his passport. The Bureau of Immigration is now checking if Mayer has committed any criminal acts while in the Philippines and is in the process of expediting his deportation so he can face the charges filed against him in Taipei. Mayer is a prime suspect in the killing of English teacher Ramgahan Sanjay Ryan, whose dismembered body was found in a New Taipei city river last month. According to the Apple Daily, the Israeli-American was the “largest supplier of marijuana in northern Taiwan”. As his trade began to expand, he invited Bent to come to Taiwan and join the business.